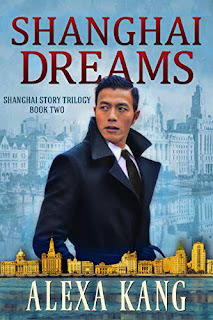 As I was writing Shanghai Dreams, in the chapter Massacre in Nanking, I found myself confronted with a piece of history that is extremely difficult to portray in today’s world. During the Japanese invasion in 1937, a number of foreigners residing in major Chinese cities had used their Westerner status to help save the Chinese. In my story, I had planned for a teenager to escape from the attack of Nanking with the help of a foreign expat. As I researched the historical background for this chapter, I discovered that the man who led the foreigners to save the Chinese residents in that city was John Rabe, a German Nazi. Originally from Hamburg, John Rabe was the director of the Siemens Company’s branch office in Nanking when Japan attacked the city. Although Rabe had lived in China since 1908, he was a supporter of Hitler and the Nazi party throughout Word War 2. He was also one of the only seventeen foreigners who chose to remain in Nanking upon the Japanese’s arrival, to try to protect the Chinese. Relying on the new alliance forged between Germany and Japan under the Ant-Comintern Pact signed in November, 1936, Rabe negotiated with the Japanese army to allow him to establish the Nanking Safety Zone, where he could provide safe shelter to Chinese civilians. There are no official records of how many people were killed. Historians estimated the casualties to be between 50,000 to 300,000. Sources estimated that the Zone protected 200,000 to 450,000 Chinese. Rabe’s act of humanity wasn’t limited to negotiations with military officials. As masses of Japanese soldiers stormed the city and terrorized its people, he ventured out into the war zone. Relying on nothing more than his Nazi armband for his own safety, he rescued victims who were raped or wounded. He called for ambulances, chased off rapists and soldiers slaying civilians, and took photos and films to document the atrocities. He also kept a journal, in which he recounted in very personal details what he had seen. His journal entries showed that while he outwardly acted like an invincible foreigner, he in fact feared the Safety Zone might not hold. And in such a volatile environment, his own safety was not guaranteed. For months, I struggled with whether or not to include Rabe in my story. I’m an American writer. My country today is sadly polarized. By portraying a Nazi in a positive light, there’s a risk of those who hold racist beliefs today will point to Rabe to justify their alliance with extremist groups and to feel good about themselves. Giving credence to hate is not something I want, albeit the chance of such a person reading my story is small. To avoid the risk, I could create a fictional character instead, such as a missionary priest. I could also adapt another foreigner who saved Chinese civilians in Nanking. I debated with myself what would be the best choice, and I did not take this decision lightly. Ultimately, the author in me convinced me I could not shy away from the truth. The Shanghai Story trilogy is a chronicle of the events in China during World War 2. If I were writing a fictional character, I would miss the opportunity to bring to readers a real piece of history. Adapting an American or British foreigner into the chapter could work, but it would make my story less compelling. It would also be spineless on my part to take the easy way out, to withhold due credit to a historical figure to avoid controversy. But all these reasons aside, the single driving force behind my choice was a vision in my head. As I was writing, the image of John Rabe walking on the violence-filled streets trying to save lives while wearing his Nazi armband, a piece of cloth that was nothing more than an illusion of protection, was so poignant and so vivid, I could not write my story without him. As I learned more about Rabe, I was reminded that people are complicated. Today, we live in a world where a person is often defined by a single tweet or one mistake. In the viral world of social media, we no longer value forgiveness. All we demand is apologies, and it does not matter whether the apologies are sincere. We never encourage redemption. But what is the point of condemnation, if not to hope for those who are misguided to change course? Is our outrage merely something to show off we are right, and we’re satisfied by an apology because someone we oppose has verbally conceded they’re wrong? How will that make anything better? The story of John Rabe to me, then, is a reminder that a person can have the capacity to be compassionate and do good, even if that person might appear to be repugnant. That is not to say that a person with racist beliefs should be exculpated from their part in contributing to an environment that hurts others. And certainly, there are evil people whose depravity is so deep, they must be held accountable for their actions. But most of us are not like that. It might be worthwhile to consider the possibility that humanity can reside even within those whose views are grossly offensive. One might say, who cares about them? What about the victims? To that point, I’d say, compassion for the victims and hope for their offenders are not mutually exclusive. Furthermore, the best way to protect potential victims is if those whose views would harm them would act differently out of their own conscience. That can happen only if we accept that even the worst of us can have it in them to do good. As for John Rabe, if someone with pro-Nazi sentiments rediscovers him today, then I hope what they’ll take away is that it is never too late to heed their own conscience. They can be a better version of themselves, like John Rabe. Details: Shanghai Dreams, book two of the Shanghai Story trilogy, was officially released on Amazon November 16, 2018.